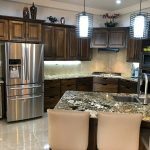 The kitchen is user friendly with modern stainless steel appliances as well as custom teak cabinetry. 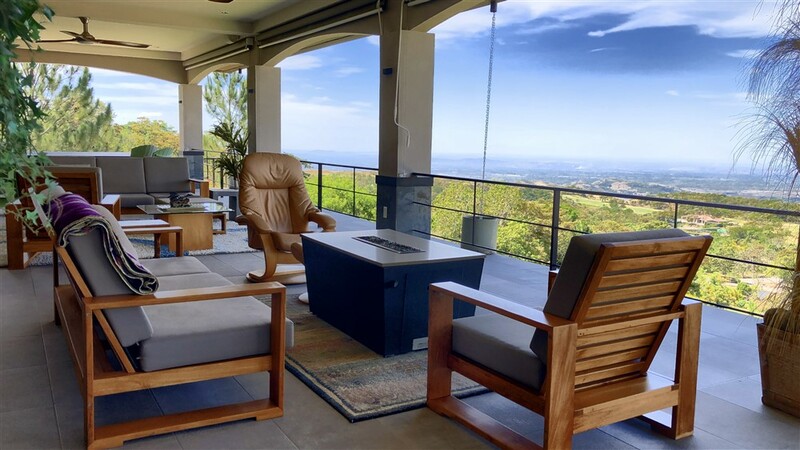 Stepping onto the terrace through trackless picture window sliding glass doors, it is easy to be fully taken with the awe inspiring view. 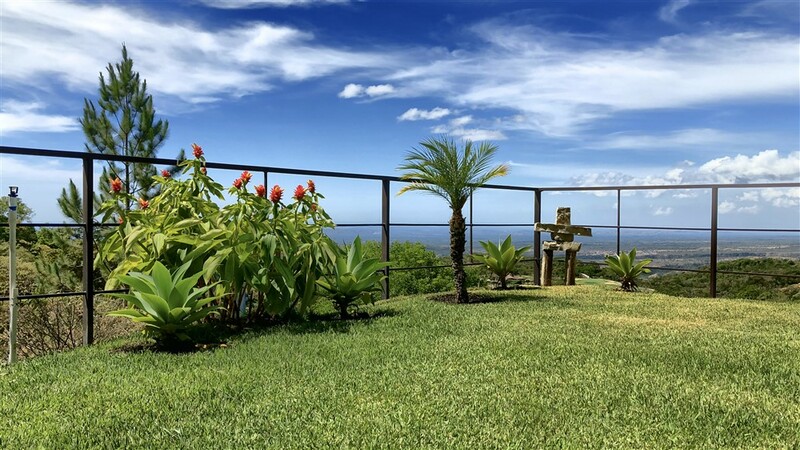 The panorama provides wide views all the way to the Pacific Ocean with its many islands far below. 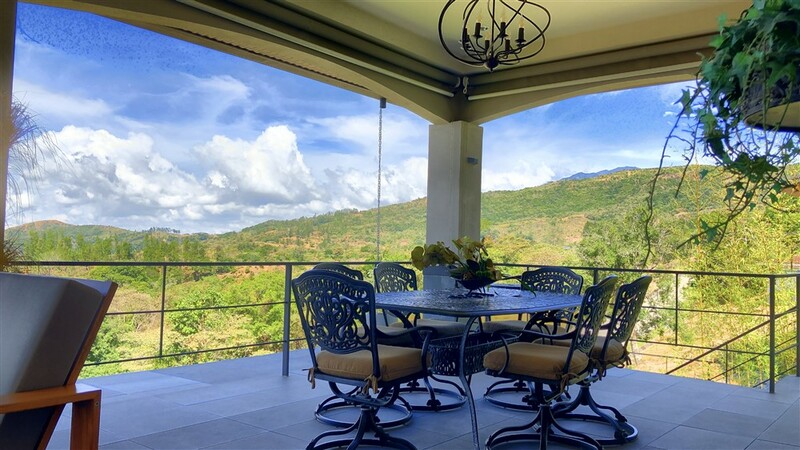 Closer in sight is Lucero’s famed 18 hole championship golf course and the surrounding mountains that provide a wide frame to the vistas. 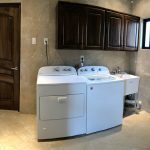 It is an amazing sight. 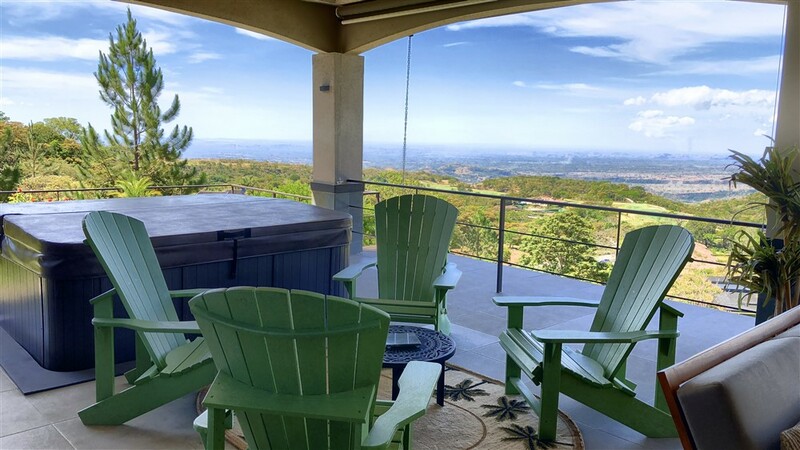 The terrace is designed to make it simple to take full advantage of the year-round spring like weather. 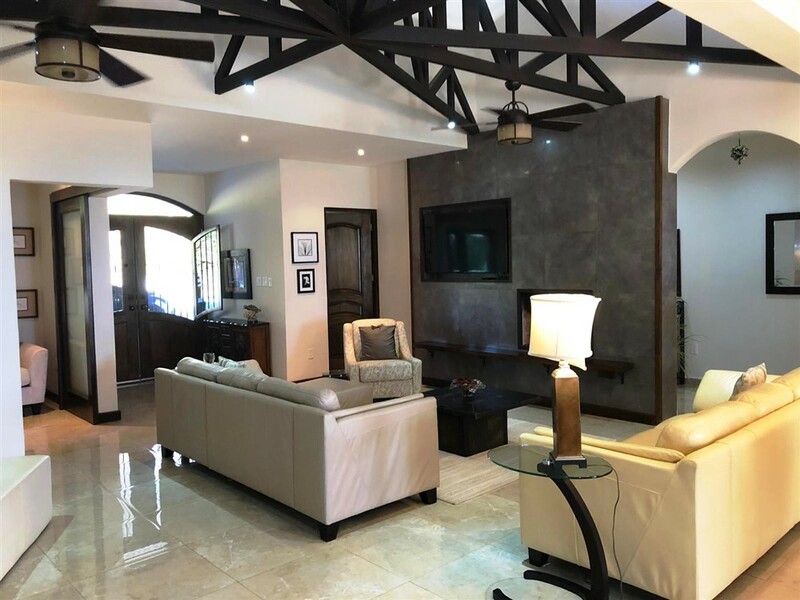 It is so large, yet comfortable and has features designed to make the outdoors your second living space. 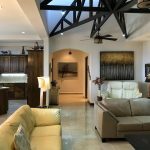 The imported artistic ceiling fans cool in warm afternoons as well as provide light. 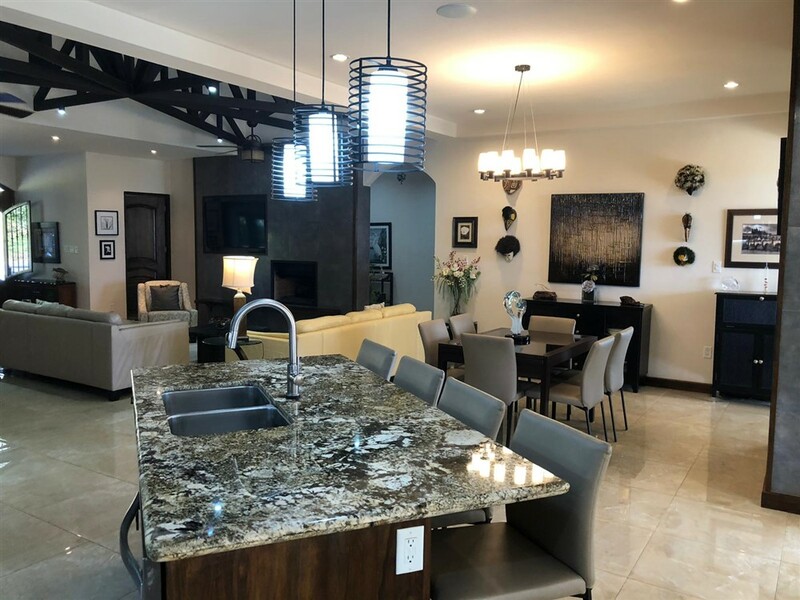 A chandelier brightens your second dining area. 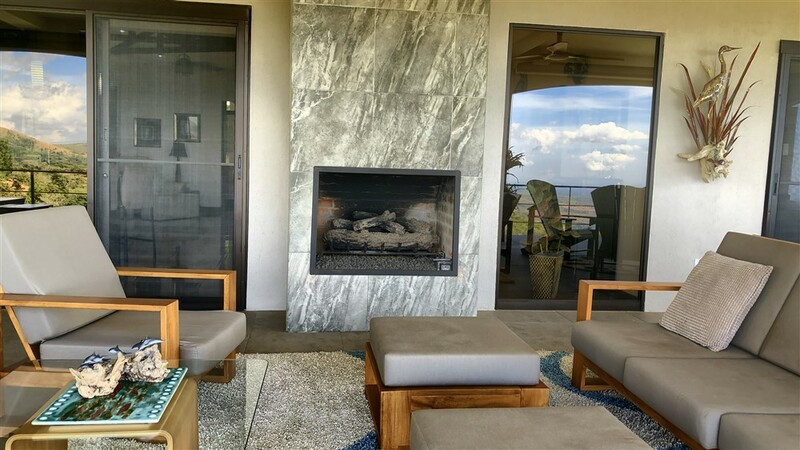 An outdoor fireplace warms in cool evenings. 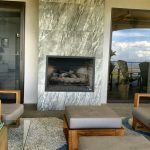 An additional island firetable provides an extra oasis of warmth. 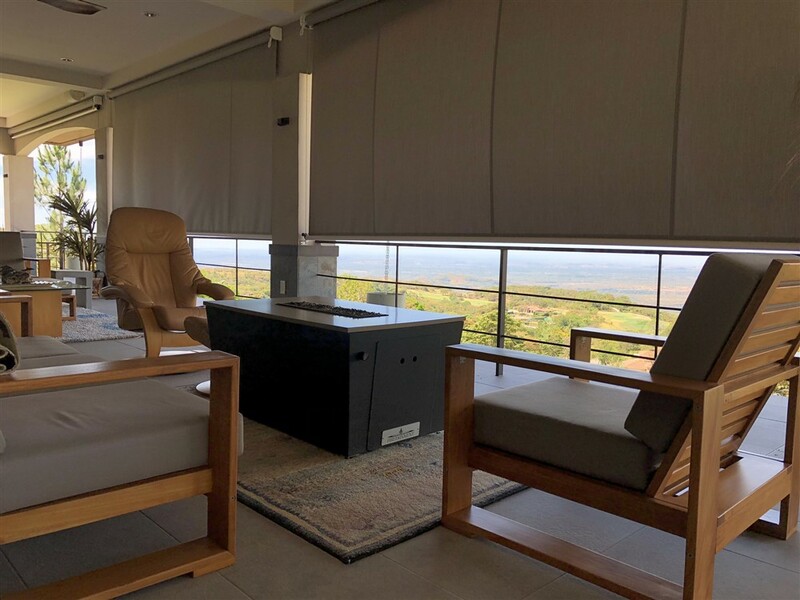 Shades can be descended to block sun or strong breezes while maintaining views. 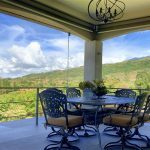 And the terrace is well protected in case of rain. 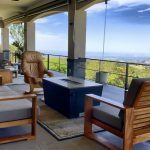 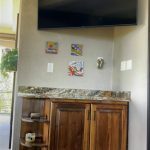 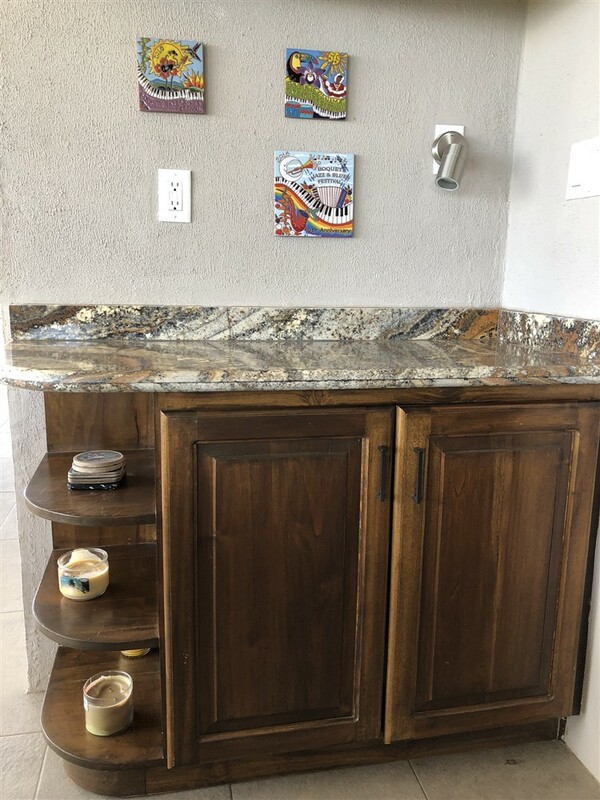 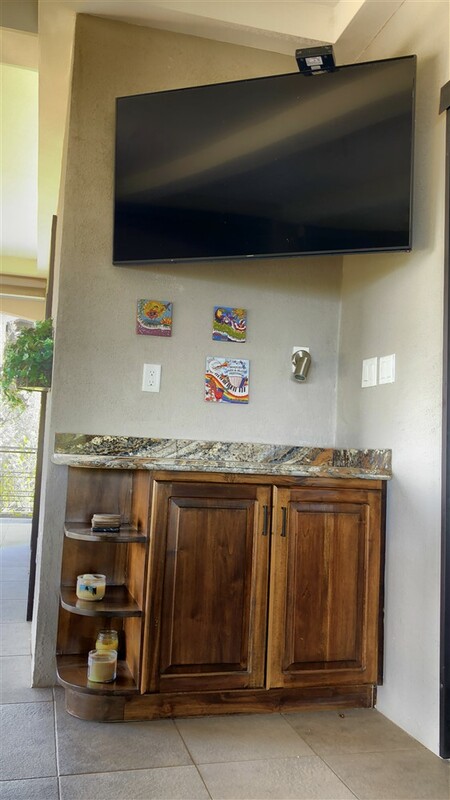 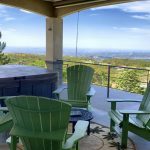 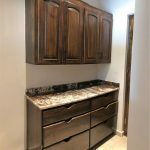 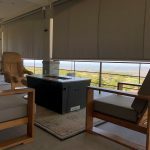 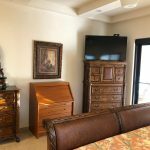 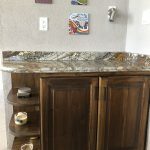 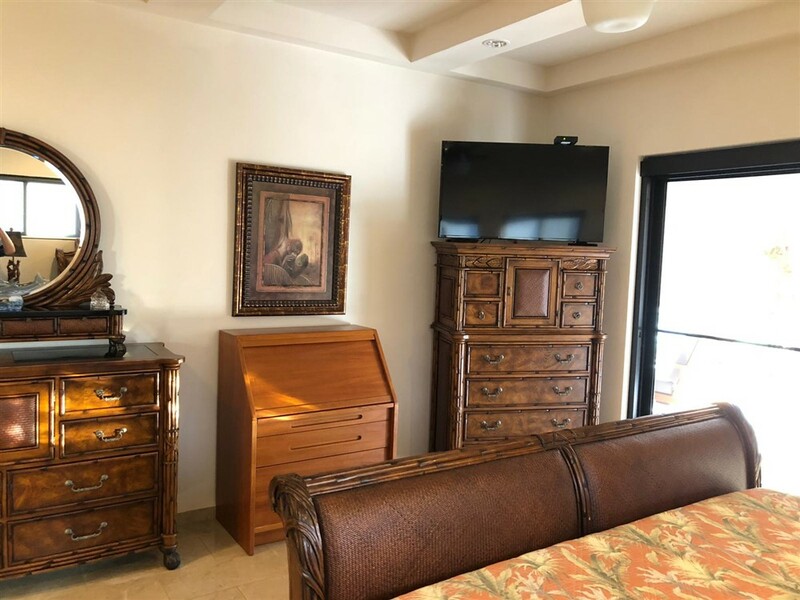 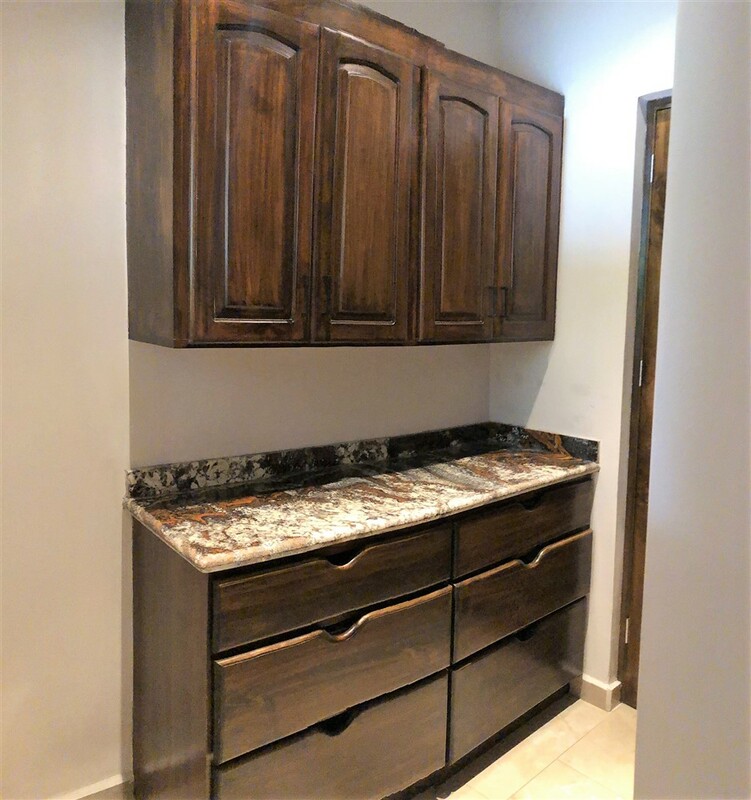 Continuing with the terrace, a granite topped cabinet is here with a spot for your wide screen tv well placed to take in your favorite game, show or film while outside. 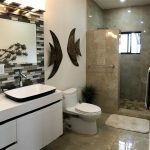 And for your total relaxation is the whirlpool that has been thoughtfully inserted into the terrace so that getting in and out becomes a simple pleasure. 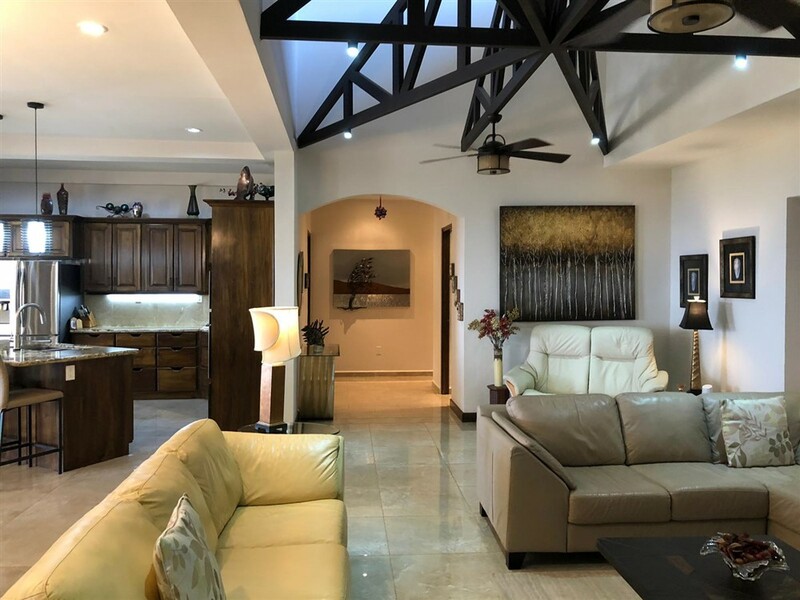 Back inside, you notice that there is an extra room adjacent to the living room that provides versatile options. 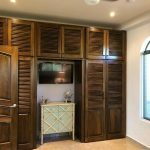 It could easily serve as a fourth bedroom, office or crafts area when closing the custom teak sliding doors. 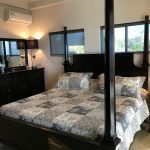 Entering the guest bedroom wing there are two large bedrooms both ensuite with lovely bathrooms. 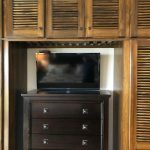 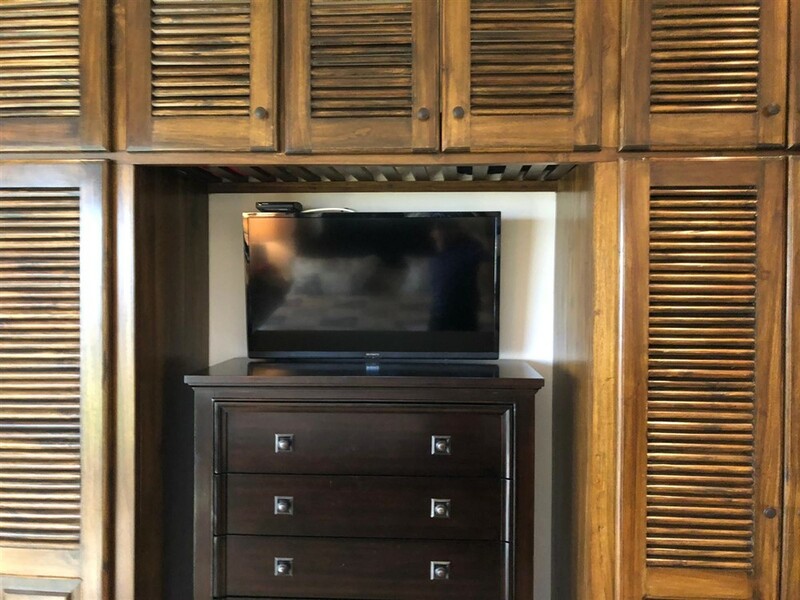 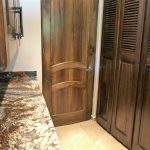 Each room has lots of built in custom teak cabinet storage. 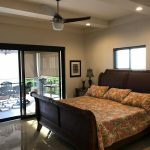 The first bedroom/bathroom suite has sliding door access right out to the whirlpool jacuzzi on the terrace. 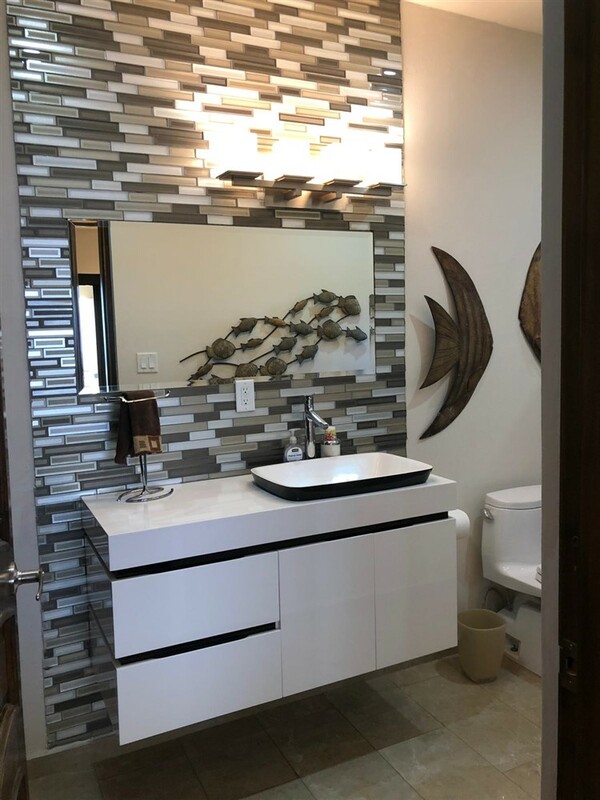 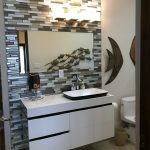 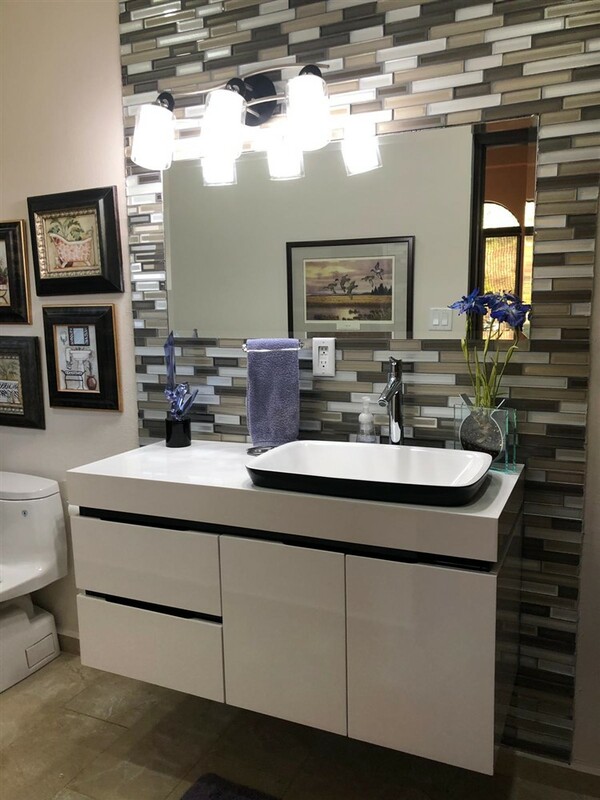 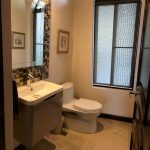 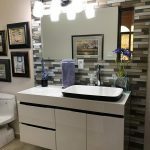 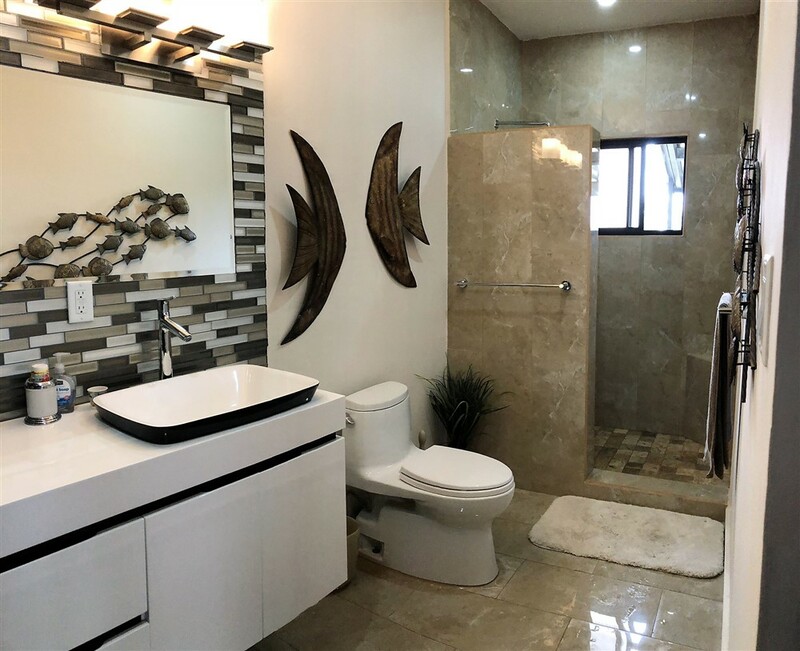 The fish themed space is beautifully presented in the bathroom of this suite with modern vanity and bowl combo accented by pretty fish sculptures and lovely wall tile. 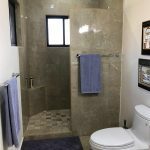 The shower is rain water style with floor to ceiling tiles. 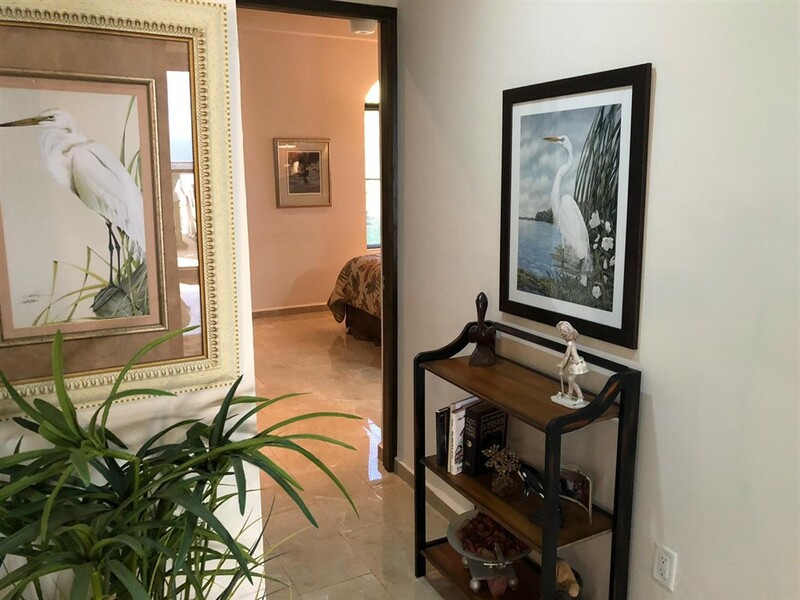 Bedroom bath suite two is bird themed. 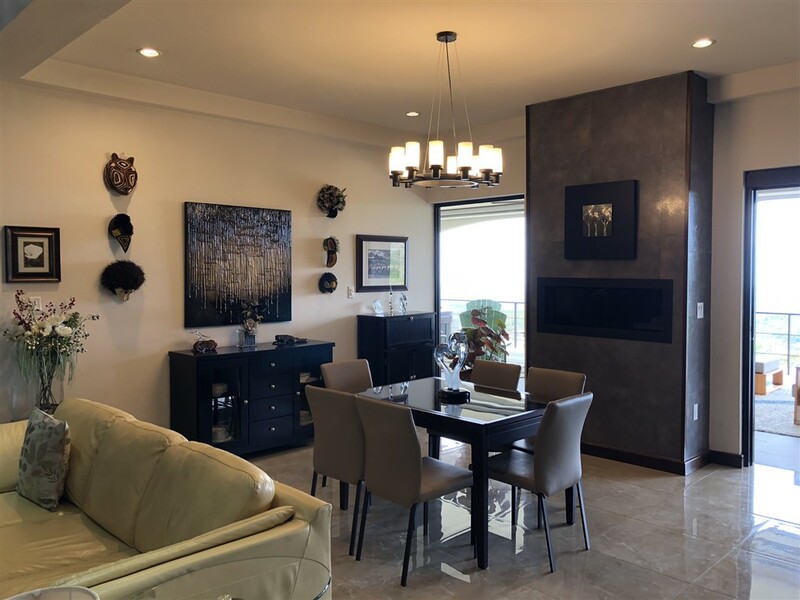 It is also quite lovely with similar features and accents as suite one. 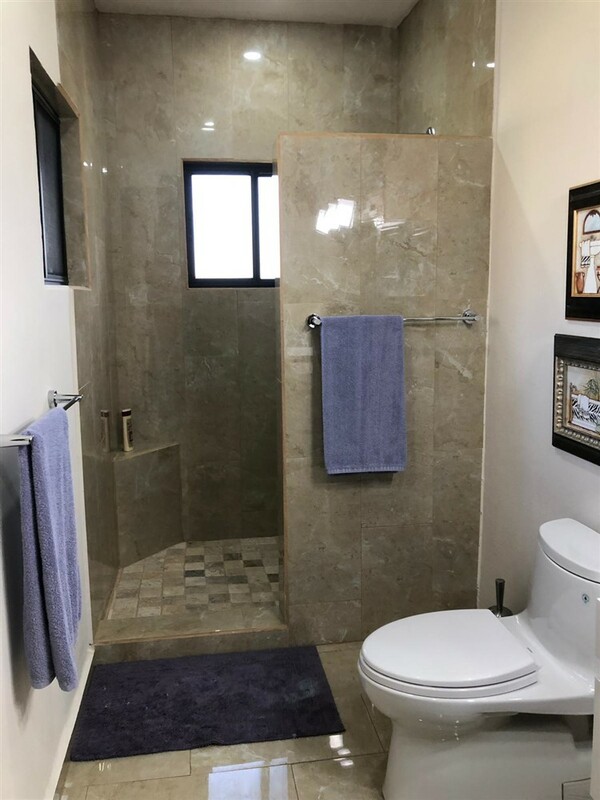 It has its own lovely bathroom. 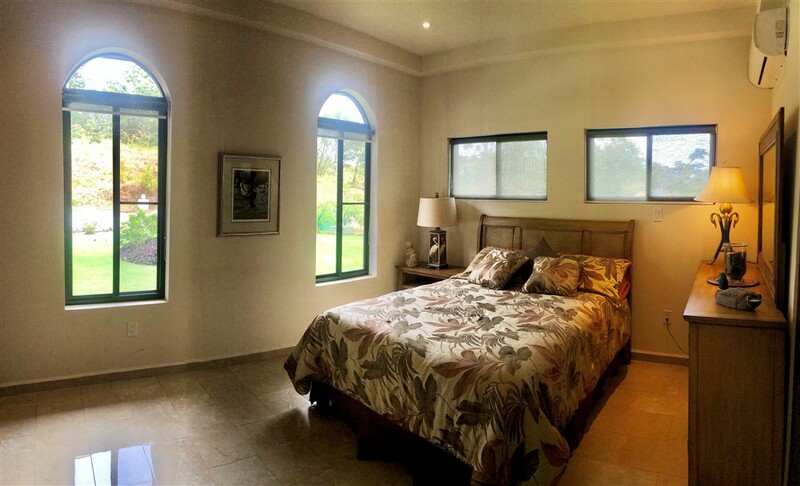 On the opposite wing of the house is found the primary master suite. 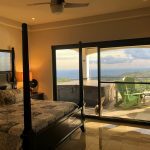 Its bedroom with amazing views and easy terrace access is quite large. 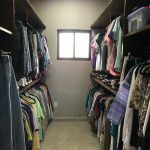 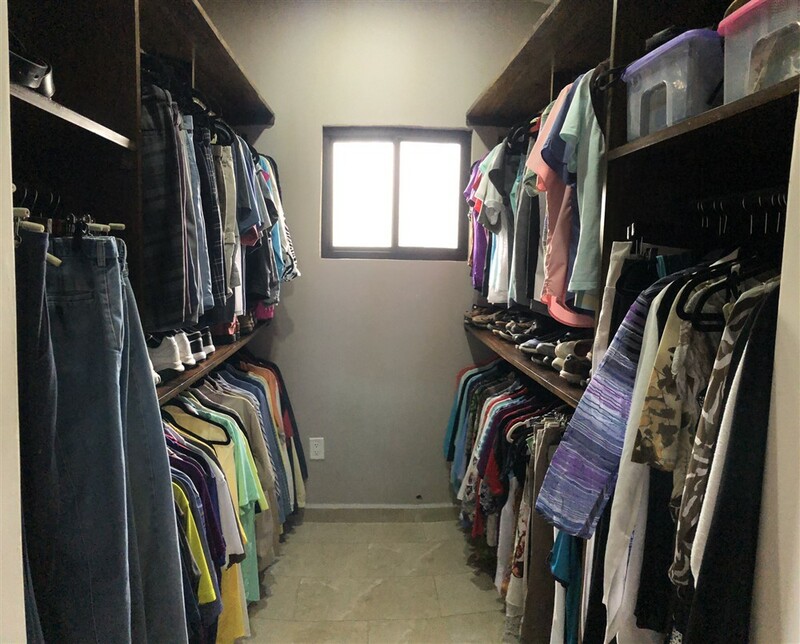 It has an ample walk-in closet. 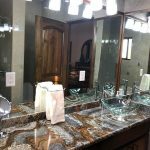 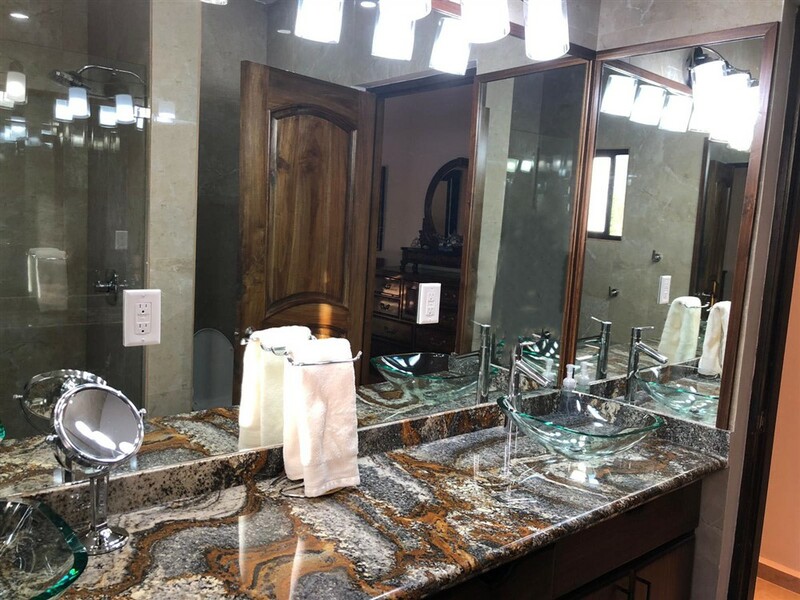 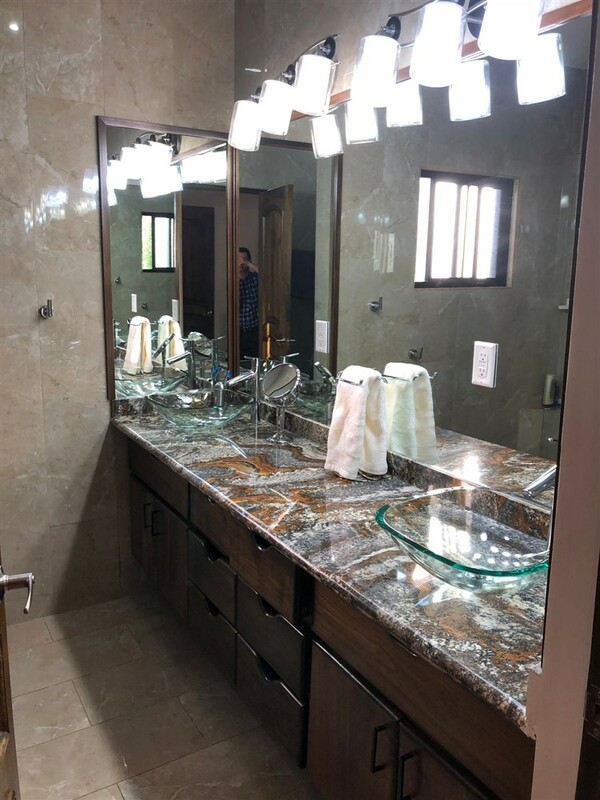 The bathroom here has superb granite countertop, lots of mirrors and a spectacular appearance. 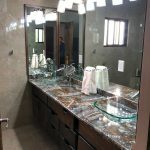 Two very large glass bowl sinks are particularly striking. 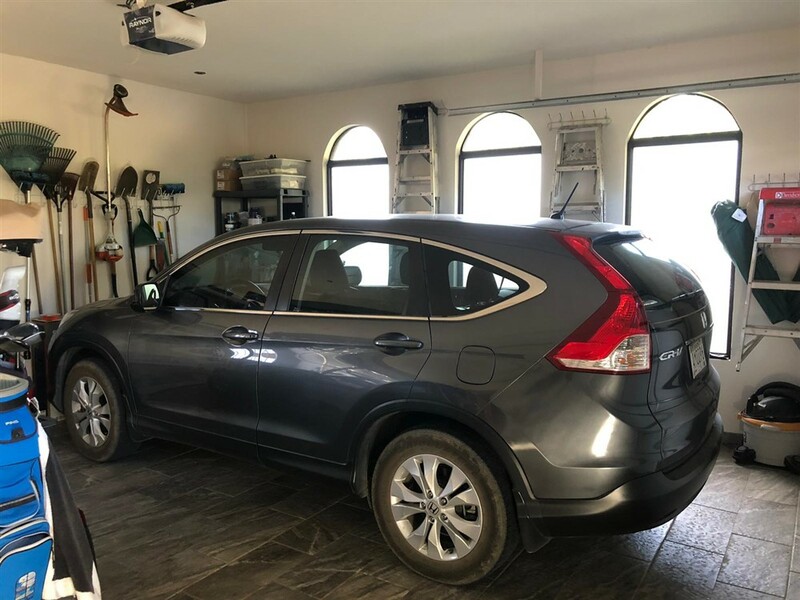 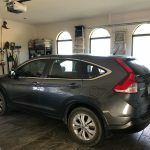 The house has a really big two car garage. 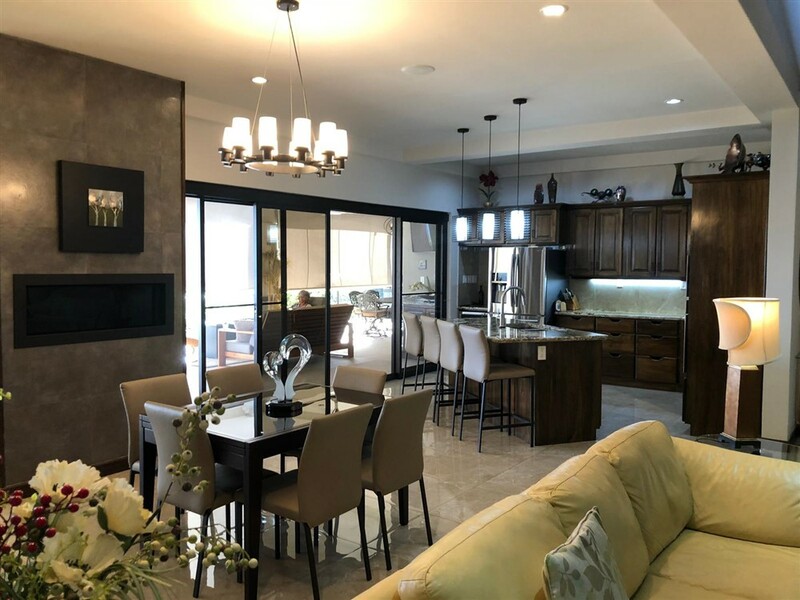 The fine touches of this beautiful home extend into this area with tall windows, a clean look and stylish gray floor tile. 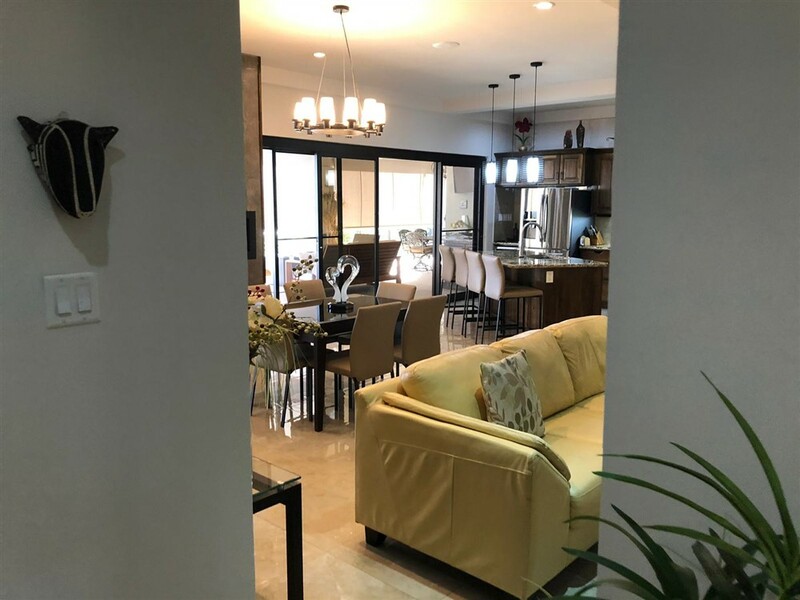 The house’s well-planned layout extends throughout. 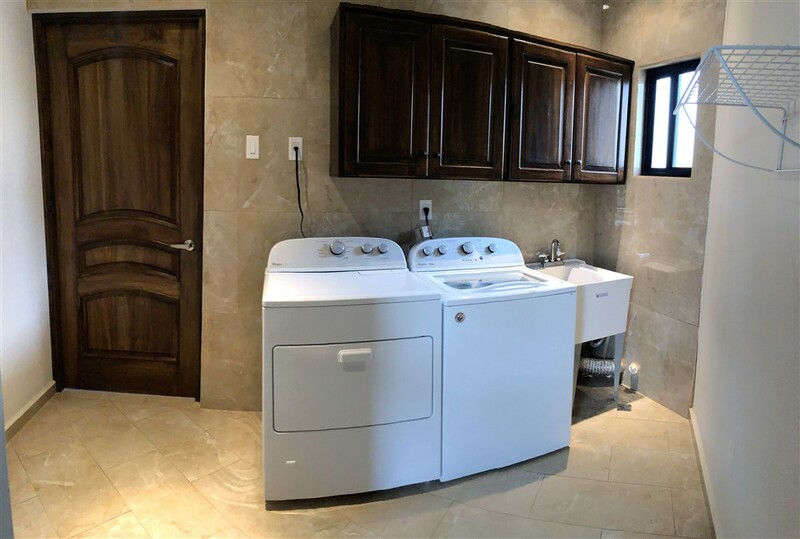 For example, the laundry room is convenient to the master bedroom and the pantry is convenient to the garage. 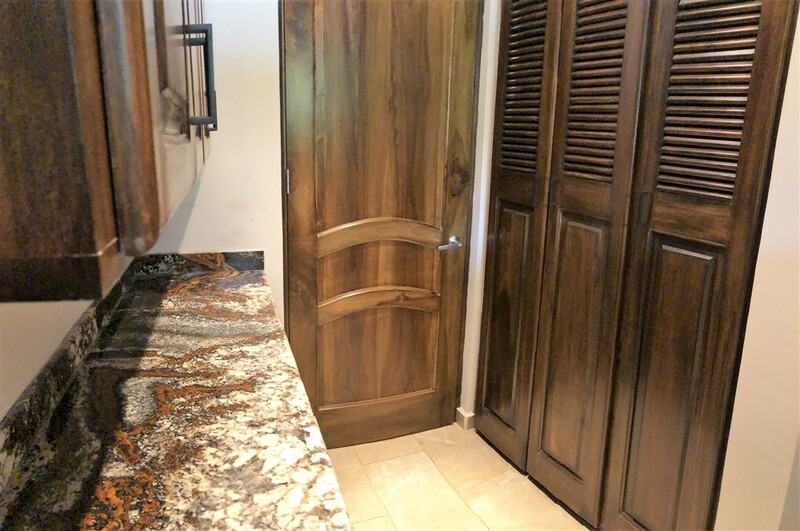 The pantry has granite countertops and both laundry room and pantry have high-end custom teak cabinetry. 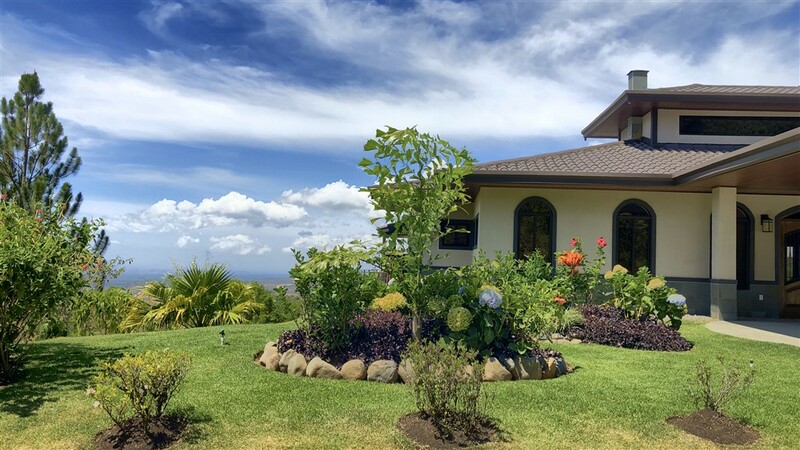 The exterior of the house is well landscaped with pretty tropical flowers and plants. 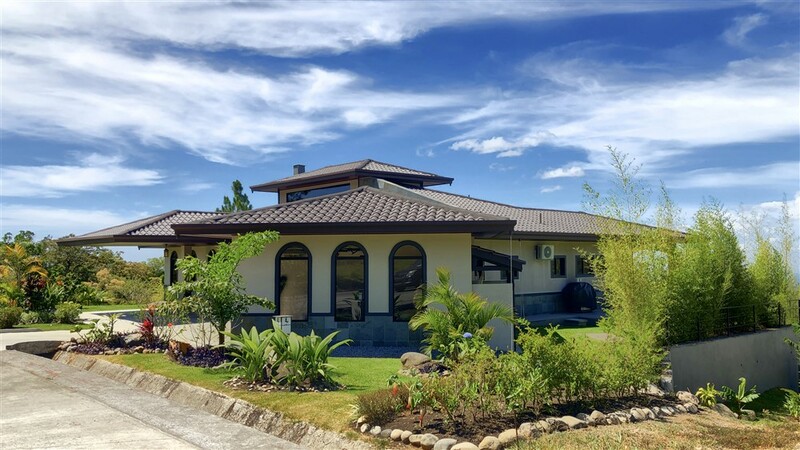 Below the rear of the house is a grassy area which could become another recreational center with a fire pit for example. 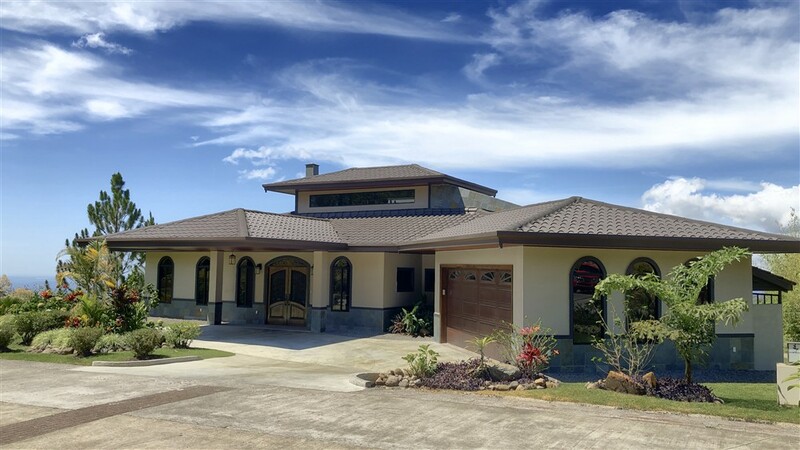 The tax exemption on this house is transferable to you as the new owner. 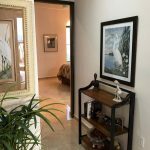 Turnkey price with furnishings is available upon viewing. 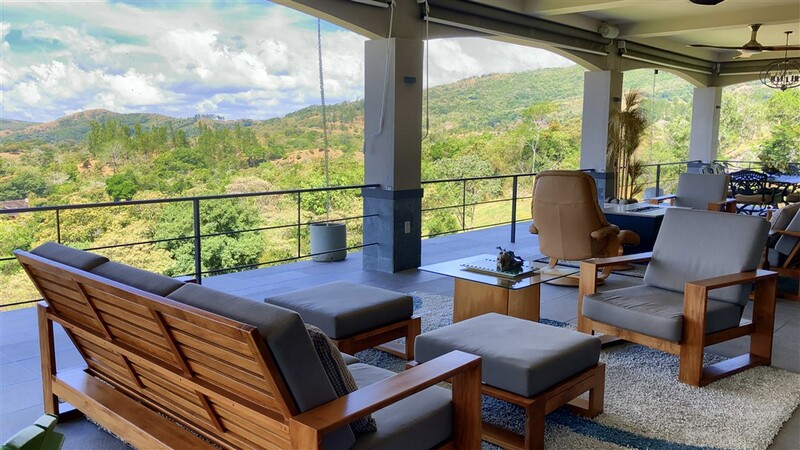 This residence provides a sublime quality unique to Boquete, Panama. 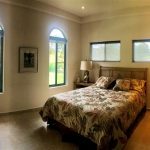 It sits in a fabulous 18 hole golf course community with its own restaurant, tennis courts and 24 hour security. 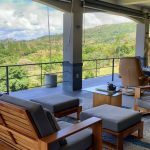 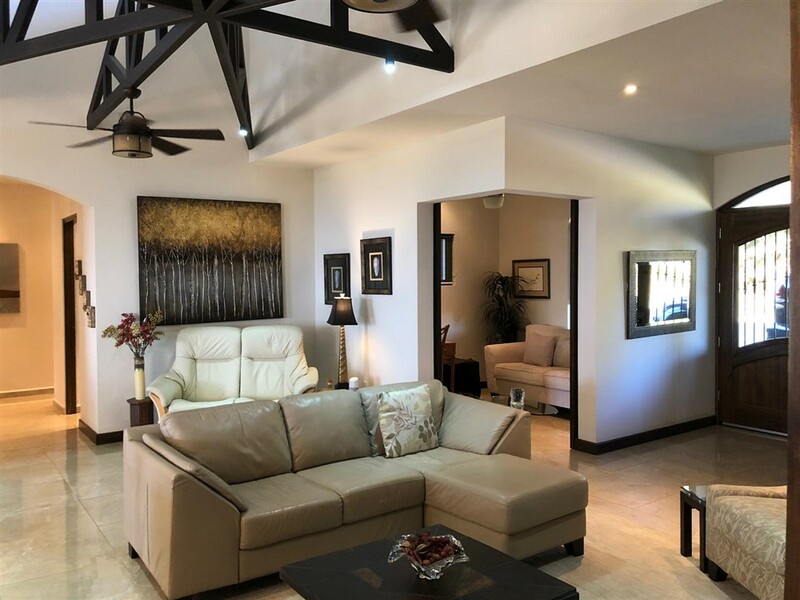 Lucero is a great residential development with many of Boquete’s most impressive homes. 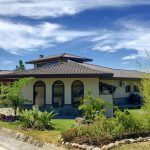 It is about 15 minutes to downtown Boquete. 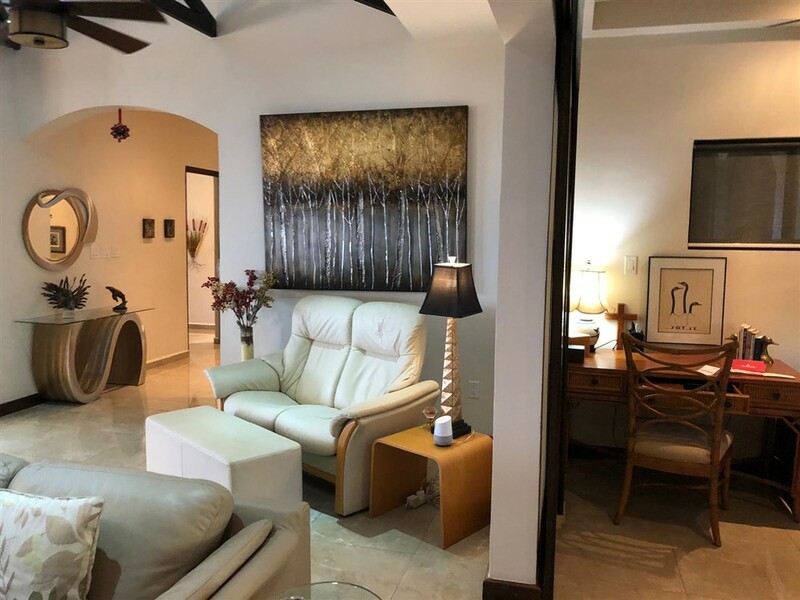 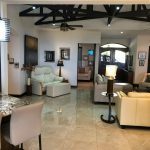 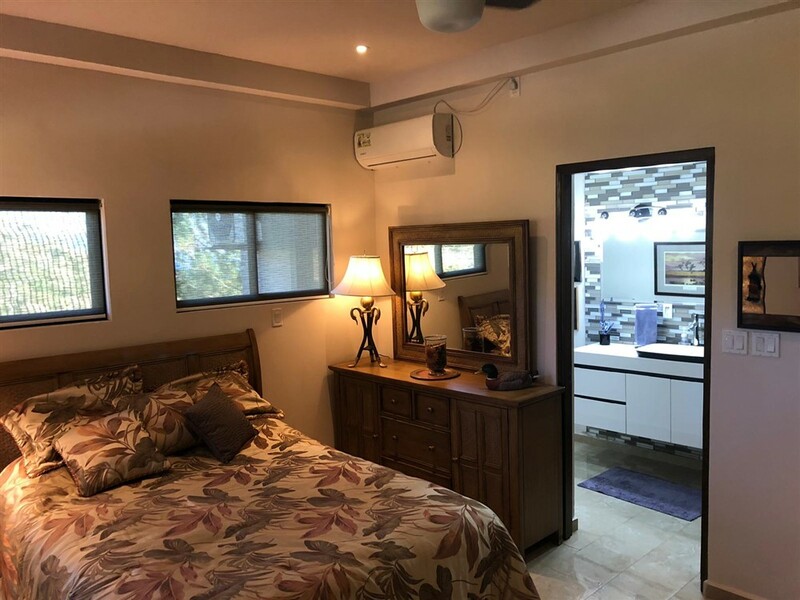 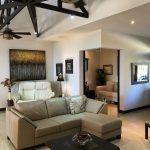 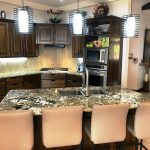 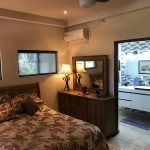 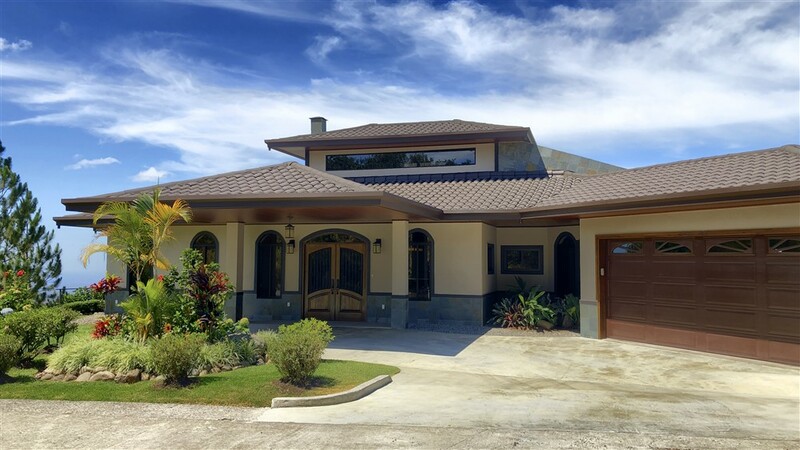 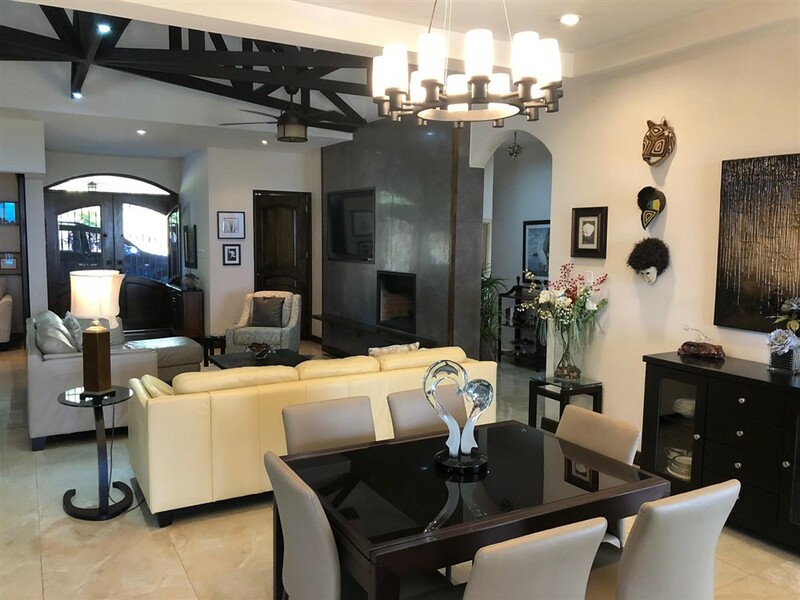 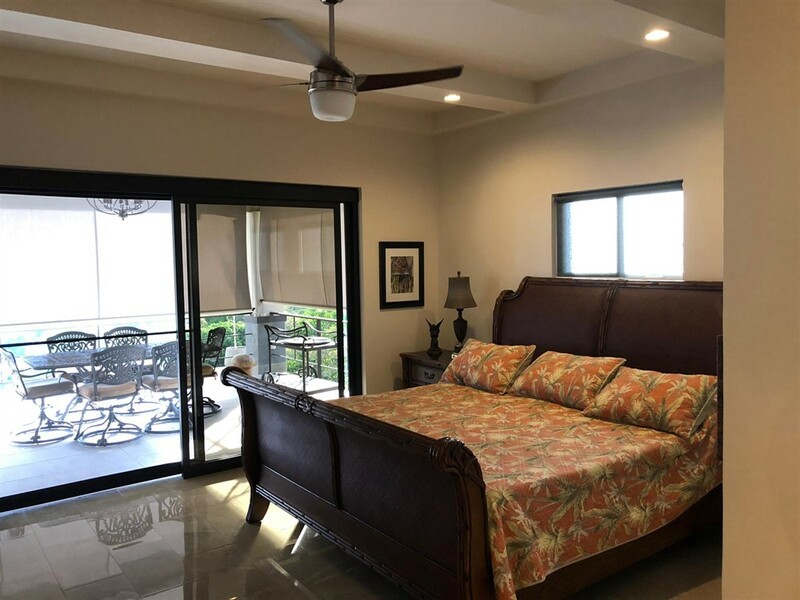 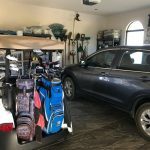 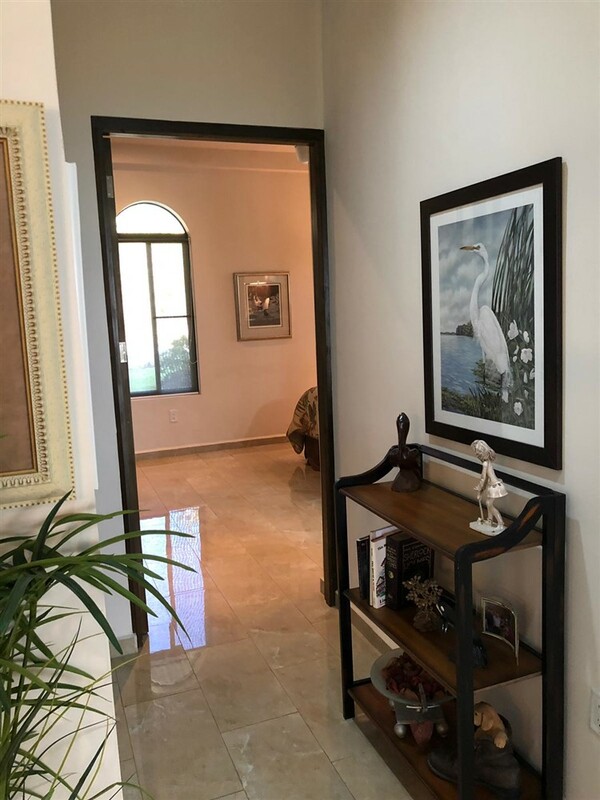 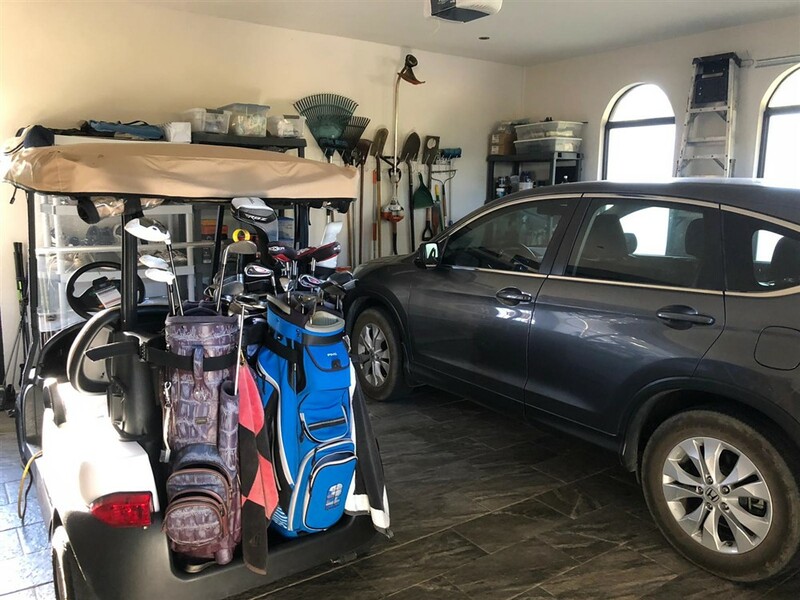 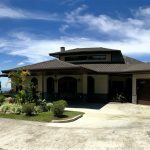 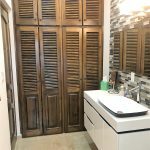 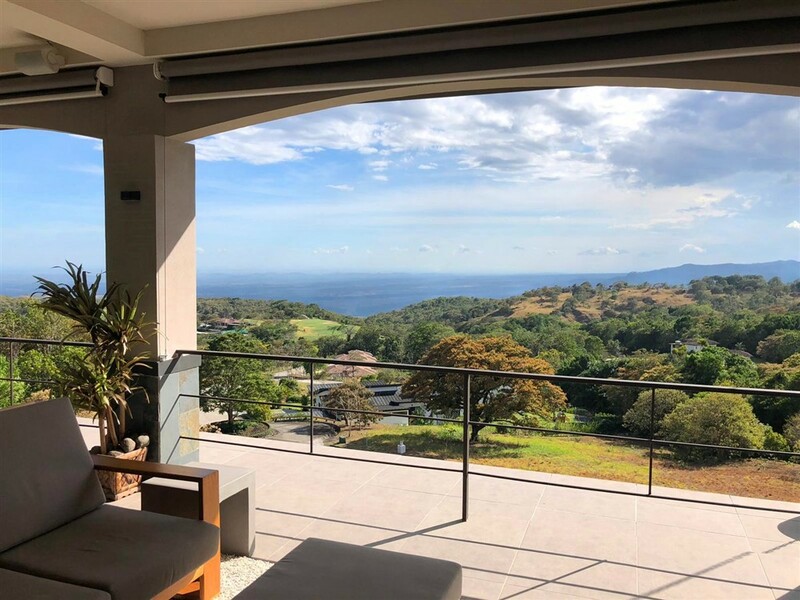 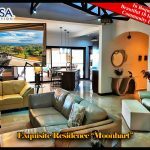 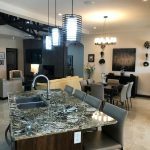 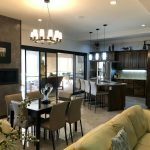 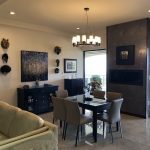 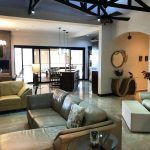 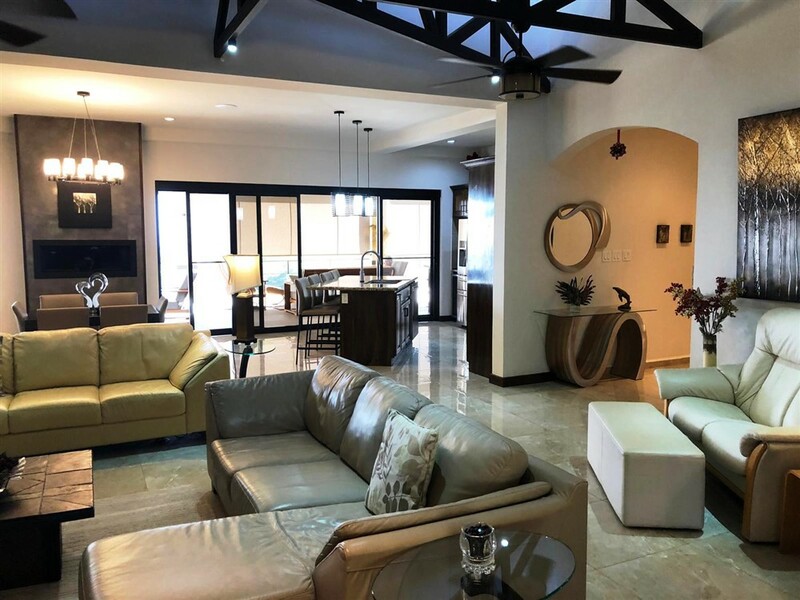 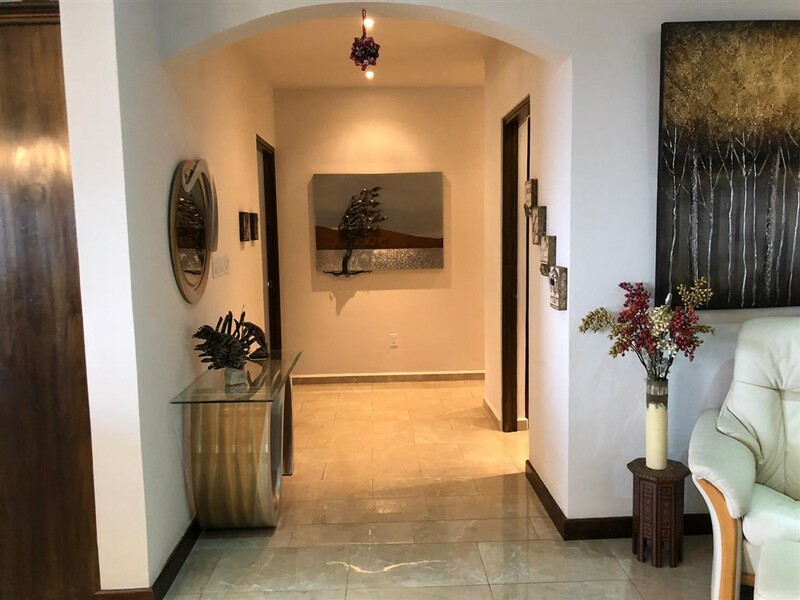 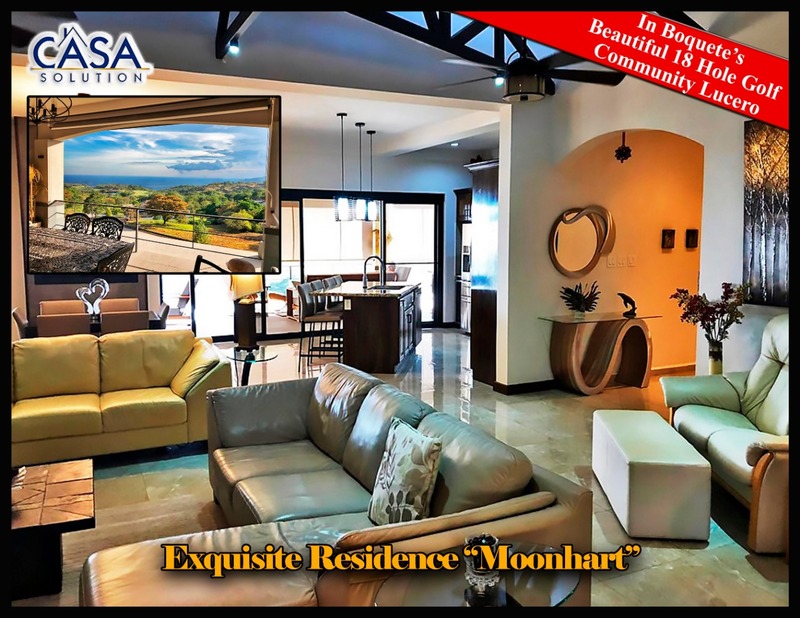 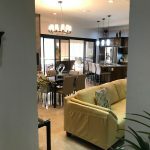 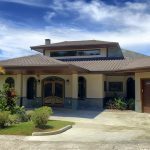 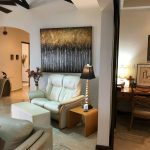 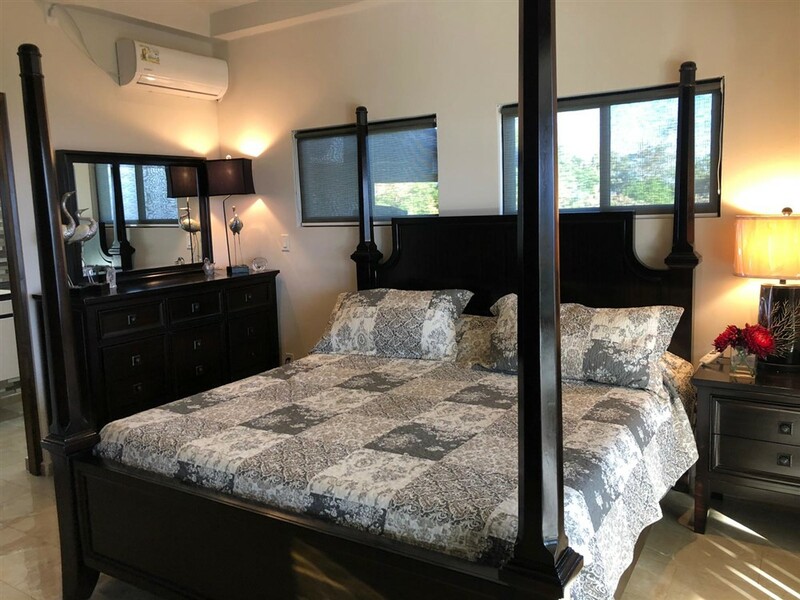 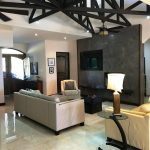 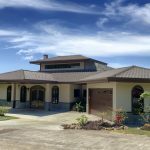 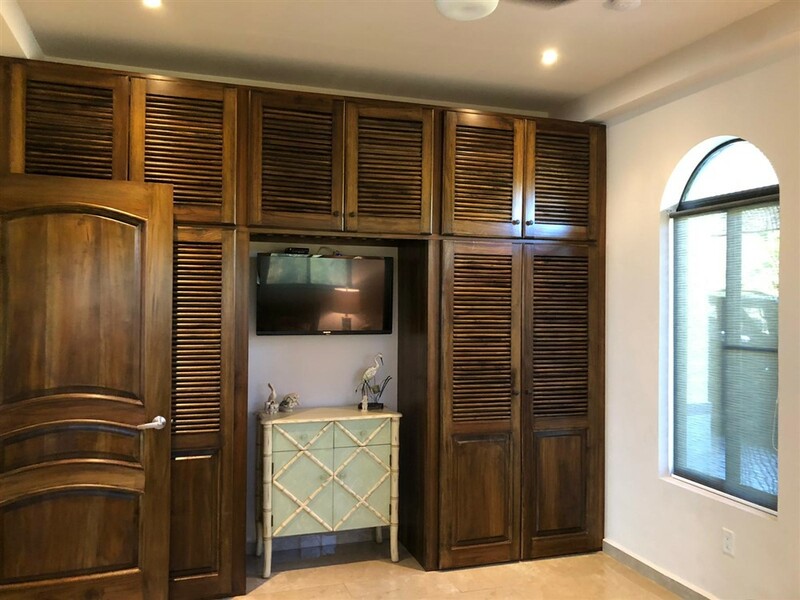 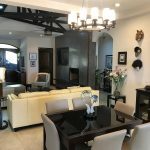 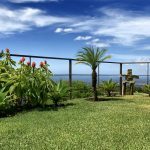 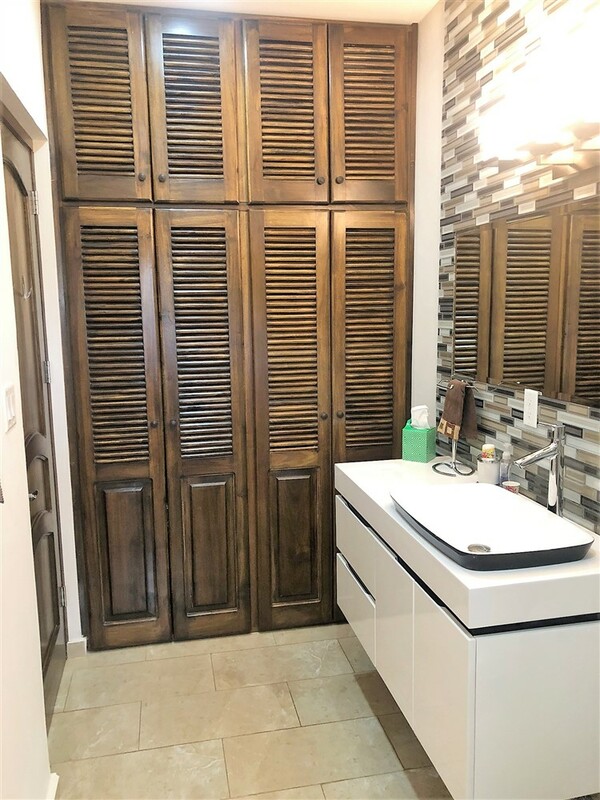 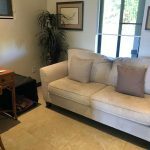 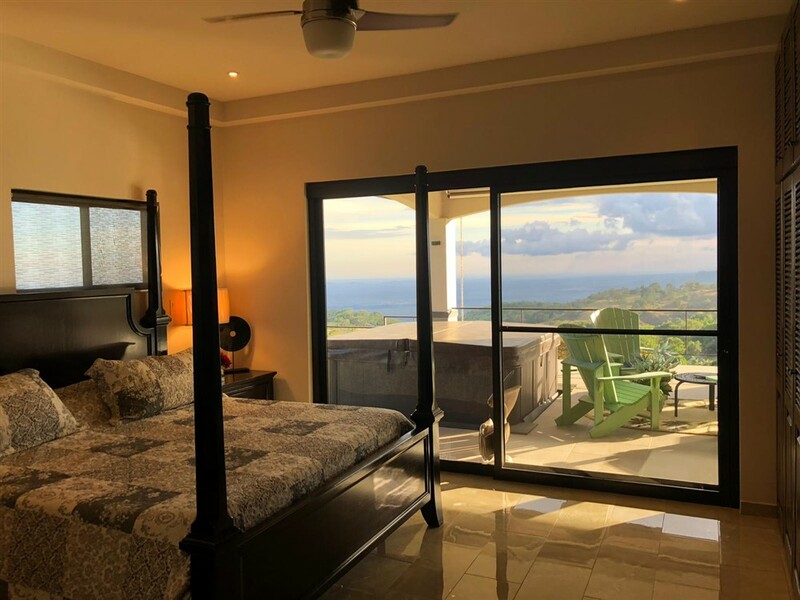 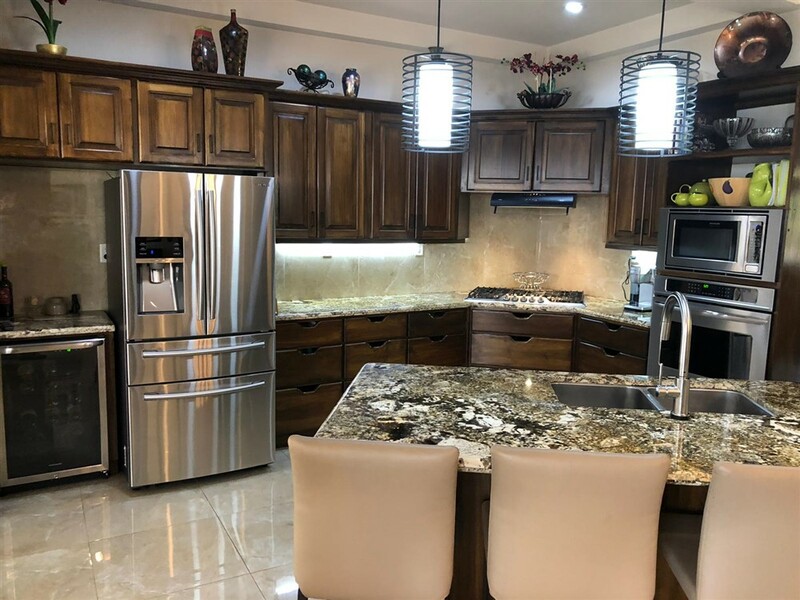 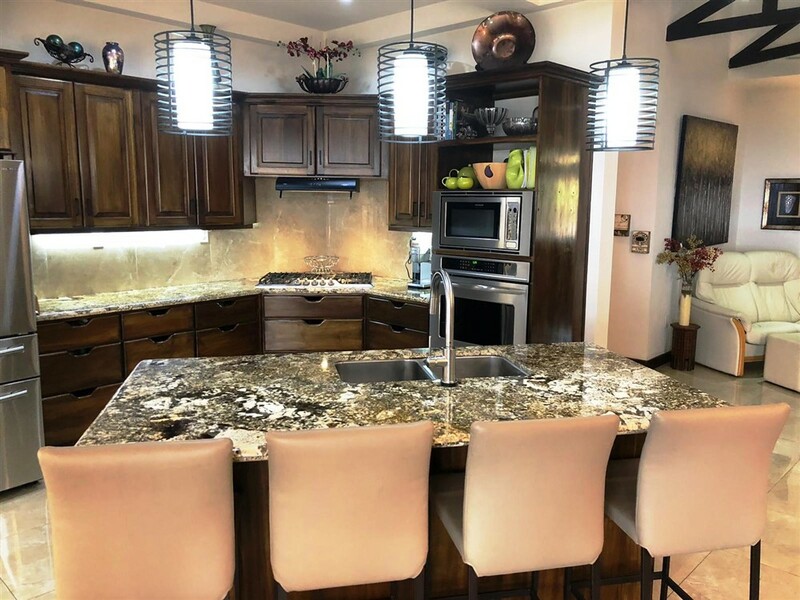 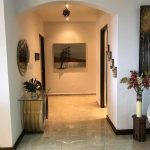 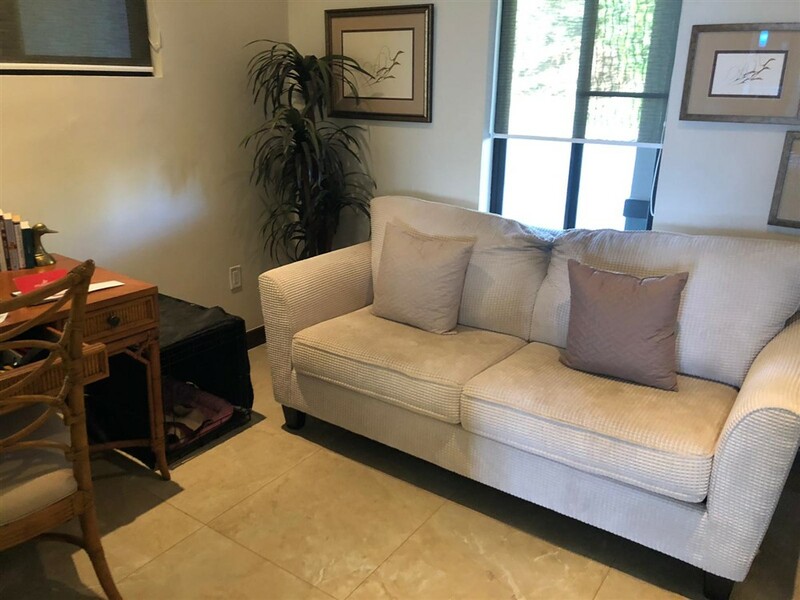 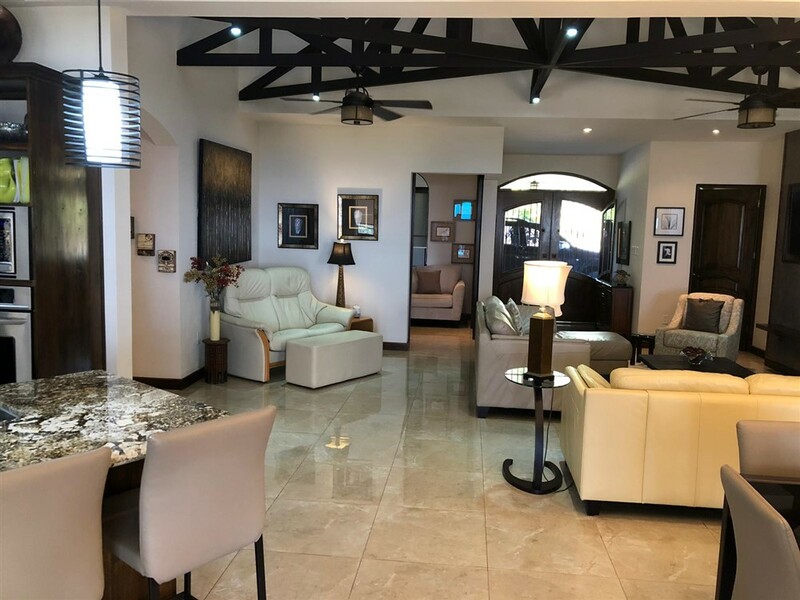 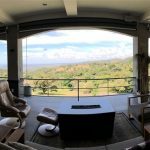 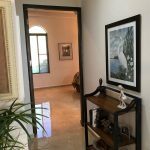 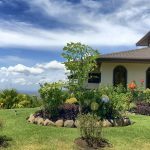 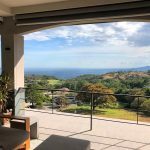 Please contact Casa Solution for more information about this Exquisite Residence “Moonhart” for Sale in Boquete’s Beautiful 18 Hole Golf Community Lucero.